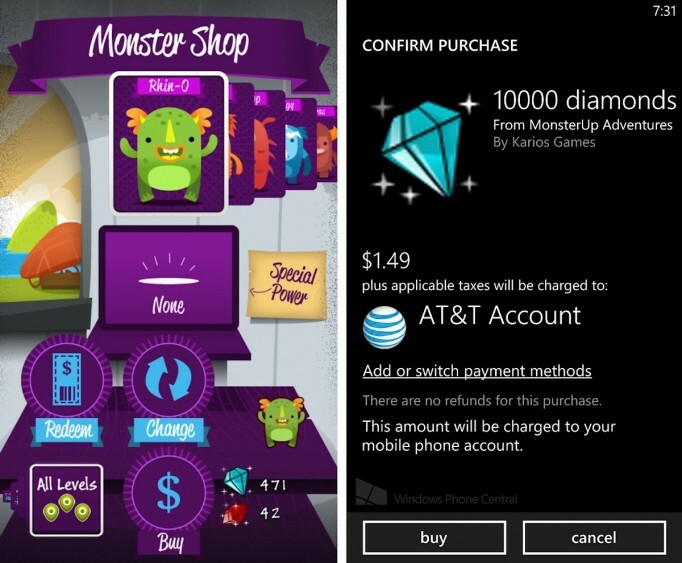 Both MonsterUp and MonsterUp Adventures have recently received updates that allow Windows Phone 8 users to use the built-in wallet function to buy stuff in the games. More specifically, in MonsterUp Adventures, you can now buy diamonds and rubies from the island store as well as buy all the levels of the island at once. The gems are of course used to unlock other things in the store, like new monsters and the game’s ringtone while the island levels are unlocked permanently. In the original MonsterUp, you can buy all the available monsters at once.